Happy Friday!!! Wow… was your week as long as mine?? 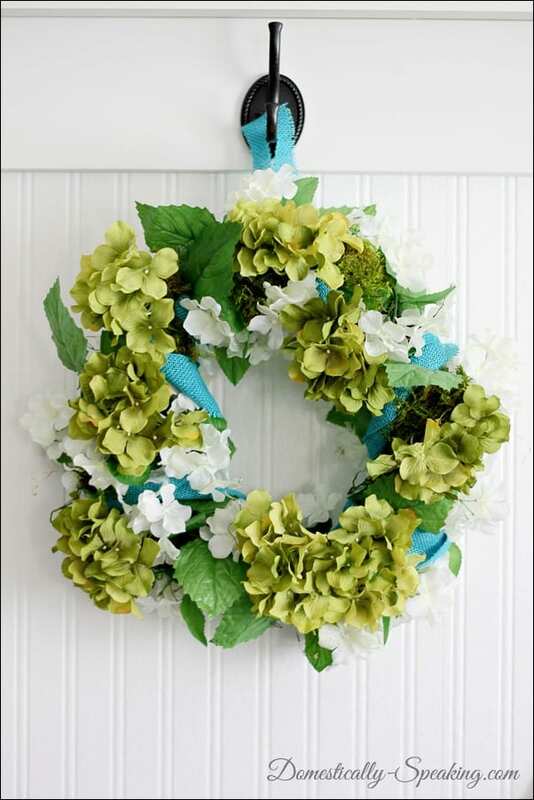 What a great Inspire Me Monday linky party we had this week. 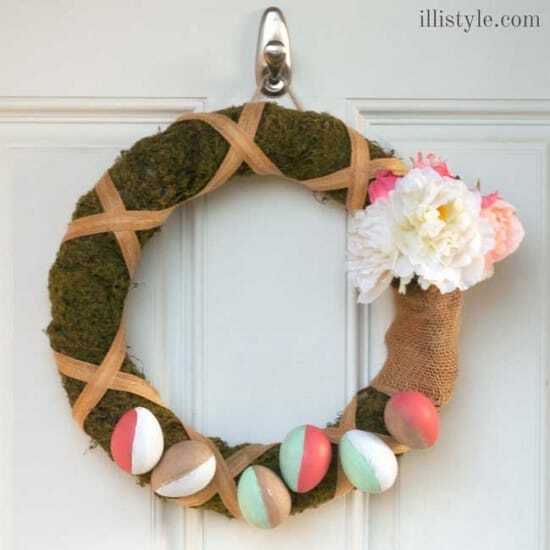 Tons of delicious recipes, lots of cute Easter and Spring goodies, decor fun and so much more. 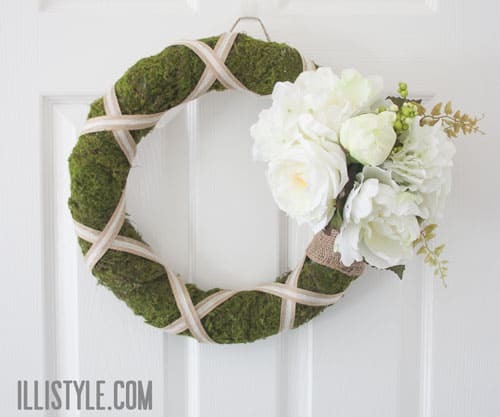 If you missed it you can find this week’s Inspire Me Monday party here. 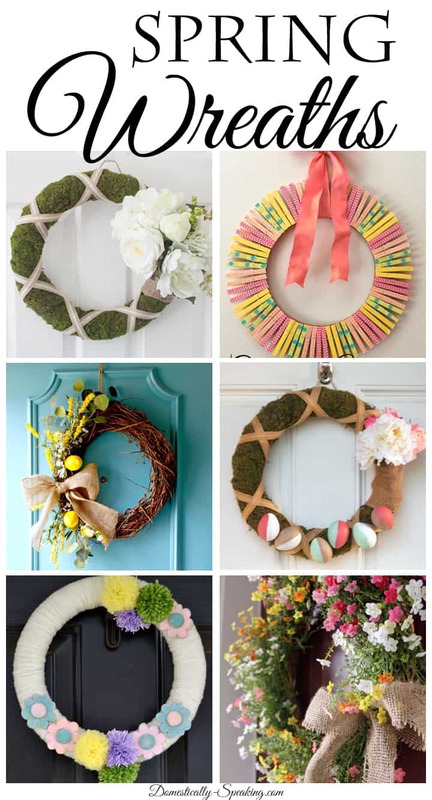 So in this week’s Friday Feature I decided to go with Spring Wreaths. 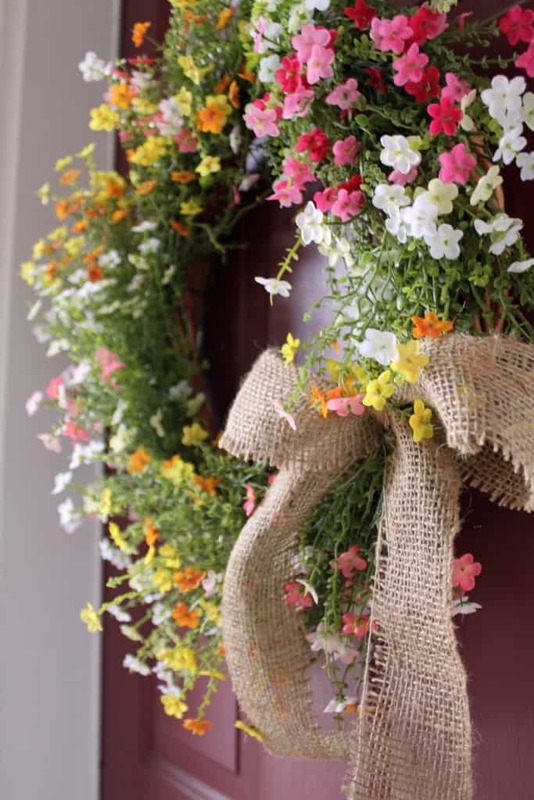 The weather is warming up (hopefully where you are)… it’s blazing, summer hot here… but we’re all ready to freshen up our spaces and a beautiful wreath on the front door is a great way to start. So let’s check out these beauties! 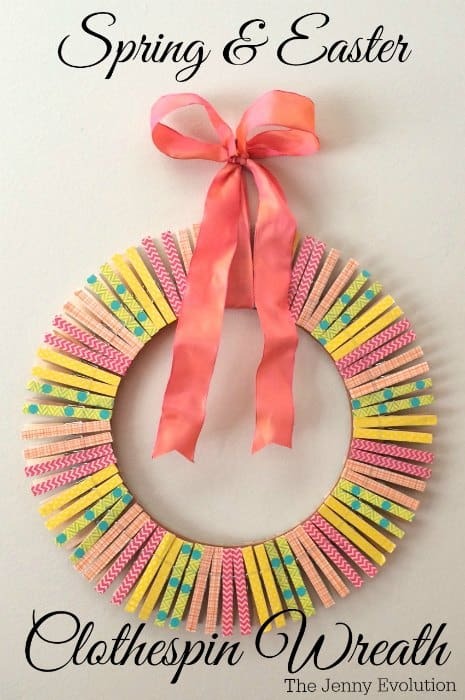 Here’s one of my favorite wreaths I made a couple years ago. 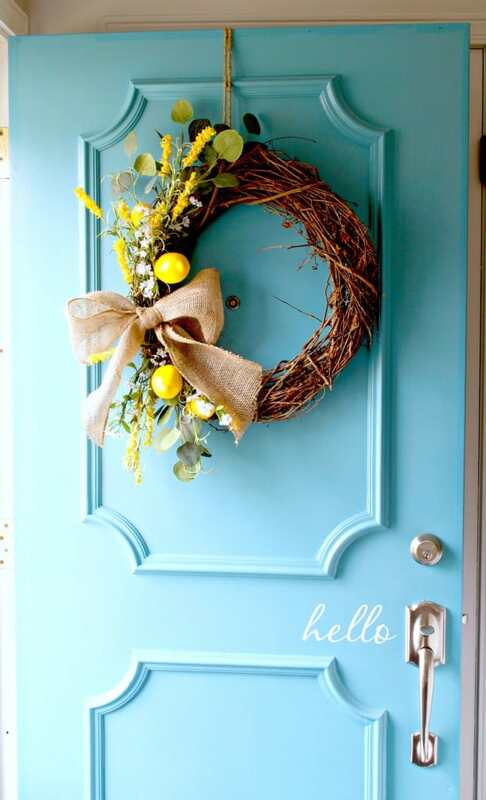 Thanks for featuring my Spring clothespin wreath. We have been loving how it brightens up our family room 🙂 I don’t know about you… but I’m ready for Spring! Have a great weekend, Maryann! 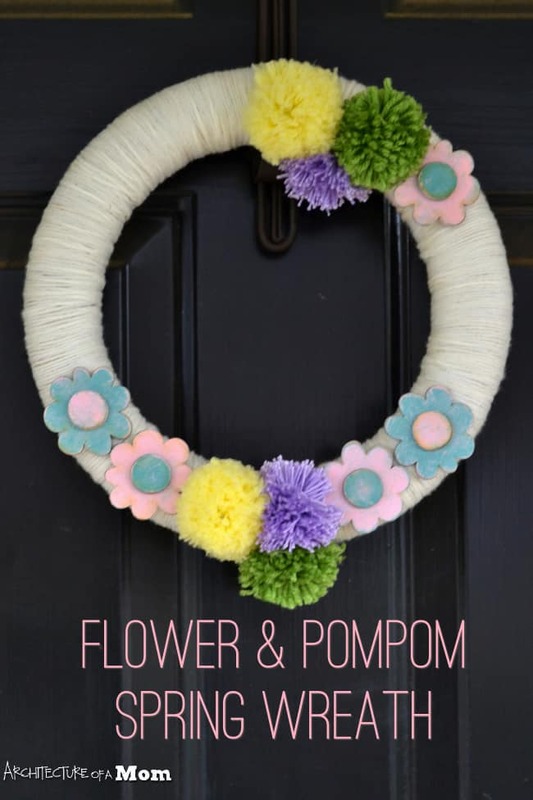 Thanks so much for featuring my Spring wreath with all of the other beautiful inspiration. Hope you have a great weekend. Love them all just gorgeous!